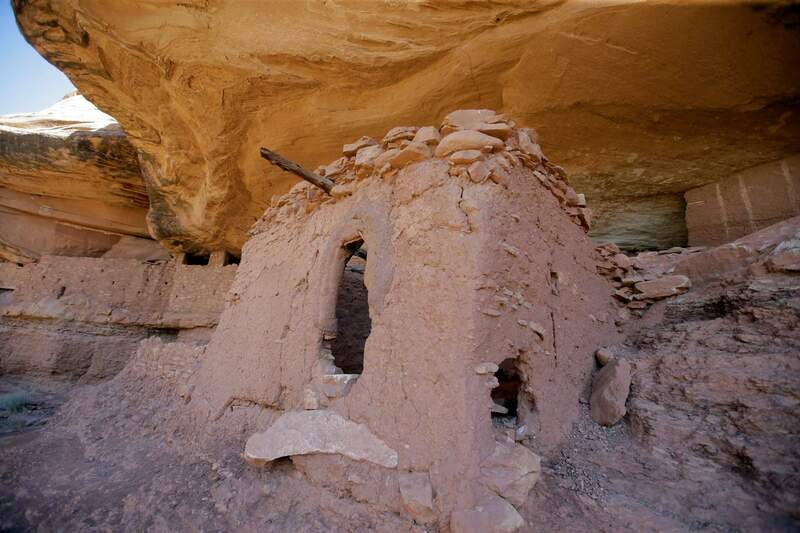 The “Moonhouse” in McLoyd Canyon is part of Bears Ears National Monument near Blanding, Utah, which has been reduced in size by President Donald Trump. Bears Ears is only one example of the conflict over places of religious value for Native Americans. Forty years ago, the U.S. Congress passed the American Indian Religious Freedom Act so that Native Americans could practice their faith freely and that access to their sacred sites would be protected. This came after a 500-year-long history of conquest and coercive conversion to Christianity had forced Native Americans from their homelands. Today, their religious practice is threatened all over again. On Dec. 4, 2017, the Trump administration reduced the Bears Ears National Monument, an area sacred to Native Americans in Utah, by more than 1 million acres. Bears Ears is only one example of the conflict over places of religious value. Many other such sacred sites are being viewed as potential areas for development, threatening the free practice of Native American faith. Sacred landscapeMy great-grandparents, Páyotayàkxkumei and Kayetså’xkumi, (translated as Aims-while-flying-through-the-air and Hollering-in-the-air), were well-known religious leaders on the Blackfeet reservation. They lived in the foothills of the south side of the reservation. However, they went into the mountains and onto public lands in an area now called the Badger-Two Medicine in north-central Montana to practice their religion. My great-grandfather traveled into Badger canyon to trap eagles and gather their feathers, which he used in ceremonies and for divine protection. My great-grandmother gathered medicinal plants used in healing ceremonies. Together, they prayed and sought solitude in this sacred landscape. The Blackfeet tribe ultimately succeeded in stopping development, but only after a 35-year-long fight with the Department of Interior, which initially approved almost 50 oil and gas leases. In 2017, Interior Secretary Sally Jewell canceled the last of these leases. This means these public lands will not be used for natural resource development in the future. Now, my family and other Blackfeet, who have used the Badger-Two Medicine for millennia, can use these public lands for their religious practice in solitude. Forty years laterThe reality is, however, that not every dispute between tribes and the U.S. government ends up in favor of the tribes. Historically, Native American tribes have struggled to explain why certain landscapes are sacred for them. The lower court had ruled in favor of the Yurok, Karok and Tolowa tribes saying the road would affect their religious practice. The tribes lost because the Supreme Court viewed the American Indian Religious Freedom Act as a policy and not a law with legal protections. What was noteworthy in the SCOTUS deliberations, though, was the dissenting opinion of Justice William Brennan, who defended land-based religions. At a time when the Trump administration has created a new task force to address discrimination against certain religious groups, the exclusion of Bears Ears and other places of religious significance from these discussions raises important questions about religious freedom in the U.S. and also the legacy of the American Indian Religious Freedom Act. This article was originally published on The Conversation and made available through the Associated Press. Read the original article at https://bit.ly/2PaSMbi.